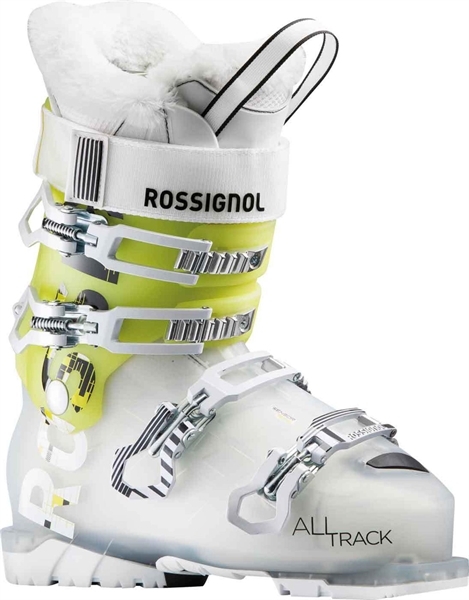 A revolutionary fusion of power, precision, and hiking performance for women, the new ALLTRACK 80 W delivers award-winning freeride versatility for advanced skiers. 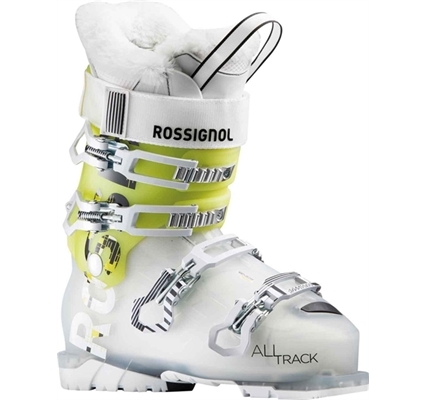 Compatible with WTR "Walk to Ride" rocker soles for easier, more comfortable hiking and walking, and powered by Posi-Block cuff technology, Alltrack offers the ski/hike convenience of a releasable-cuff freeride boot combined with traditional "pinned-cuff" power and precision on the descent that continues to go unmatched. Featuring a wider, more forgiving 102mm fit, Sensor Grid shell technology, and new women-specific OptiSensor 3D Thinsulate™ liners, ALLTRACK delivers optimized foot wrapping, comfort, warmth and support. Durable grip soles ensure increased traction and durability.